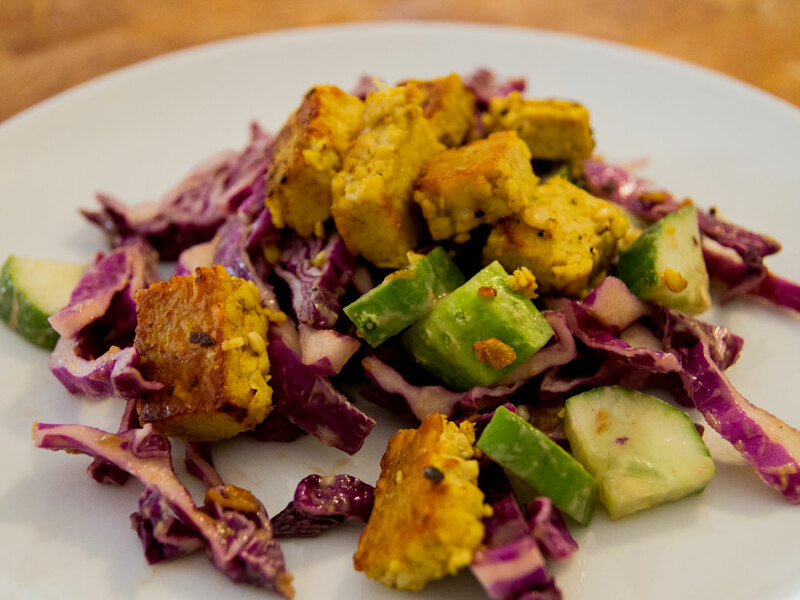 This salad makes a nice light meal for lunch or dinner and the addition of the tofu ups the protein count. You may choose to not blanch the red cabbage but I like the way the purple pops after blanching and the flavour seems to be more intense. The best way to blanch the cabbage is to immerse the shredded cabbage into a rolling boil bath for no more than 2 minutes. 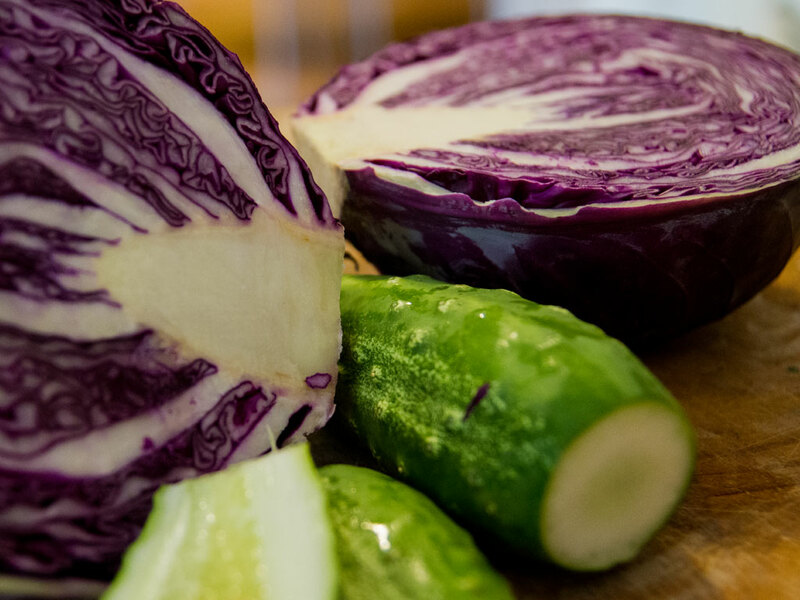 Remove cabbage promptly and rinse under cold water and drain. The rich red color of red cabbage reflects it concentration of anthocyanin polyphenols, which contribute to red cabbage containing significantly more protective phytonutrients than green cabbage. Interest in anthocyanin pigments continues to intensify because of their health benefits as dietary antioxidants, as an anti-inflammatory, and their potentially protective, preventative, and therapeutic roles in a number of human diseases. 18.9g net carbs, 9.9g protein and 7 Weight Watchers points per serving. To make Dressing, blend chutney, peanut butter, and 1/3 cup water in blender until smooth and set aside. Heat 2 tsp. oil in large skillet over medium heat. Add tofu, and season with salt. Cook for 7 minutes until browned. Add garlic and remaining 1 tsp. oil, and cook for 30 seconds. Sprinkle with curry powder, and cook for 2 minutes. Remove from heat, and keep warm.